U.S. citizens do not need a visa for tourist or business travel to this country for a stay up to 6 months. A valid U.S. Passport is required. Any U.S. citizen who wishes to travel to United Kingdom for any purpose other than tourism or business negotiations (e.g. work, study, adoption, immigration, or stays longer than stipulated in the entry requirements) should contact IRATEX directly, or the embassy or nearest consulate. All US citizens (and those from Canada, South Africa, Singapore, Malaysia, South Korea, Australia, New Zealand, Japan, and Hong Kong) entering the UK as students or work permit holders and their dependants after November 13, 2003 who wish to stay for six months or longer, need to apply for Entry Clearance. Advice for Applicants: It is your responsibility to satisfy the Entry Clearance Officer that you meet all the criteria of the category under which you are applying. Therefore, it is in your interest to ensure that you are fully prepared before submitting an application. An Entry Clearance Officer will base their decision to issue or refuse on the documents you submit. Please note that the application processing fee is non-refundable irrespective of the outcome of your application. Passport, with at least 6 months remaining validity, and contain at least one blank visa page. 4. A copy of your hotel confirmation(s) is required. A letter from inviting family member or friend is required if they are providing accommodations to the applicant. 5. If you are visiting a friend or relative a Letter of Invitation is required from the host explaining the relationship to the applicant and the purpose of travel. Invitation Letter must also include the Length of Stay, Place of Stay and contact information. A copy of the hosts British passport, (or British visa if the host is not a British citizen) must be attached. 6. 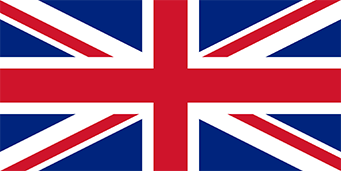 Evidence of sufficient funds to support stay in United Kingdom is required. 3 most current complete bank statements. 7.An original letter of employment stating that the applicant is employed of the company and in good standing. The letter must indicate the length of employment with the company, salary that the applicant is being paid, dates for which leave was approved and the date the applicant will be returning to the company. Most recent bank statement and a recent pay stub, both must be originals, scans and photocopies will not be accepted. 4. A copy of your hotel confirmation(s) is required. * guarantee return transportation to the US for the applicant. 8. Original Letter of invitation from sponsor, either the host company (Invitation Letter from the host company can be a scan or fax) or individual explaining the relationship to the applicant and the purpose of travel. Invitation letter must indicate the length of stay, place of stay and contact information. For most nationalities, Visas are processed in 48 hours at the consulate. In some cases the application must be referred to the home Government for approval and can take up to 4 weeks to process. Please note: The applicant’s valid passport and relevant documents must accompany the application. Official documents must be the originals or official copies bearing the seal or stamp of the issuing authority. A person seeking admission to the United Kingdom in this category MUST be in possession of an Entry clearance granted for this purpose prior to the arrival in the United Kingdom. Failure to obtain clearance will result in refusal of entry. NOTE: If the work permit holder him/herself is a visa national (i.e. normally requires a visa to travel to the United Kingdom) then he/she must obtain the relevant visa before traveling. Non visa nationals who hold work permits do not require any further entry clearance. Letter of Intent If either you or your spouse do not attend this office in person we will require a letter stating your intention to either join or accompany your spouse to the UK. This refers to the initial entry, if you travel with your spouse you will be accompanying, if you wish to join your spouse in the UK at a later date. Please notice that the dependent may not precede the work permit holder to the UK. a) Lease or tenancy agreement for private rented property. b) Tenancy agreement with the local authority housing department. c) Mortgage papers for privately owned property. d) Title deeds (OR letter from the organization holding the deeds). If you plan to stay temporarily with relatives or friends we require a letter from them giving their consent to this arrangement. In addition, evidence in the form of (a), (b), (c) or (d) that they have suitable temporary accommodation available for you and your dependents. NOTE: Under the Rules you must demonstrate that you have the intention and ability to acquire adequate accommodation of your own or which you occupy yourselves (i.e. a separate unit of accommodation. One room in a shared property may not be acceptable other than on a strictly temporary basis). Evidence that you and your spouse can support yourselves and your dependents without recourse to public funds. b) The custody order providing for full legal custody of any accompanying children of a previous marriage.